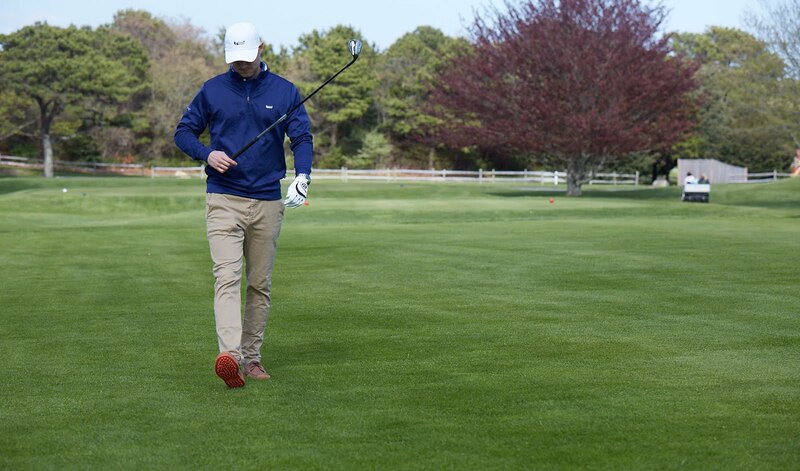 Isn't that just a feast for the eyes? 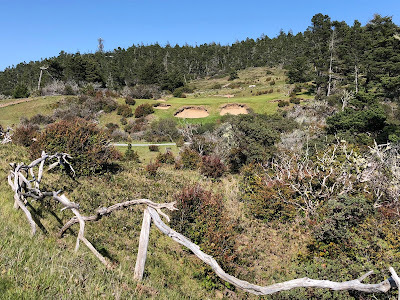 It is downhill with hidden bailouts to the right and allows the golfer to go birdie-birdie to start or even double-double (yum, now I want In-n-Out). Here is the 5th hole, a super short par 3 which still makes you think because of the forced carry and also the outrageous rollercoast swales on the green. 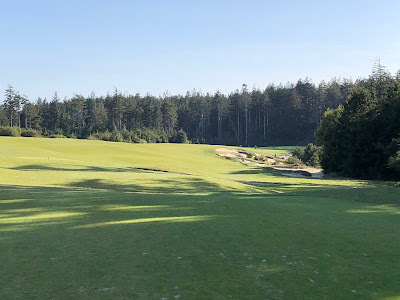 My last shoutout to the par 3s comes to the picturesque 17th which shows you the clear danger areas and is a fun green but my recommendation for this hole stems from 1) the sense of relief standing on the tee after surviving the grueling 16th hole which is a looooong uphill par 5 2) playing this hole at the end of the day, when the light is low, the hole is magical. 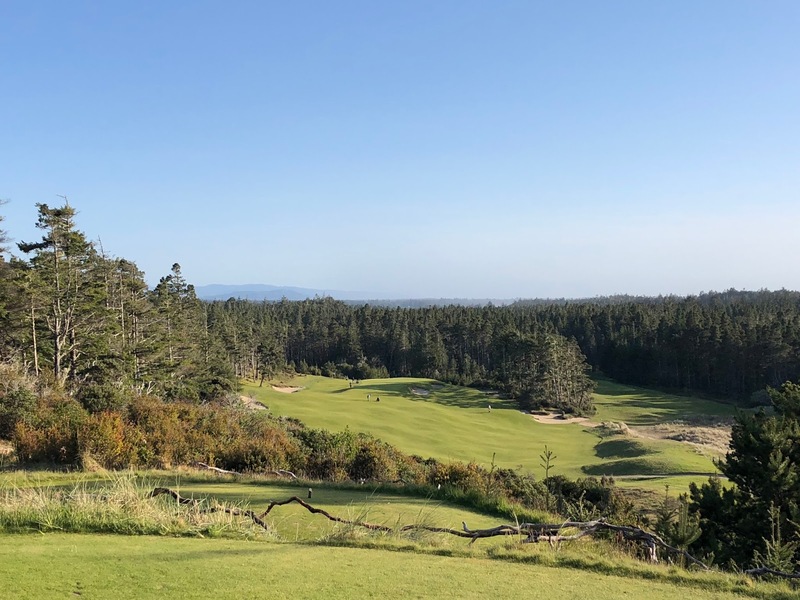 Getting back to the course writ large, the true essence of Trails is a walk through the coastal pines of the Resort as the routing expertly takes you over ridges and past lakes is a wholly sublime experience. 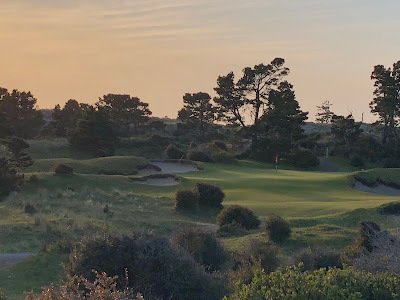 I think one of the greatest talents C&C possess is the ability to route a course in fantastic relation to the land and Trails is no different. 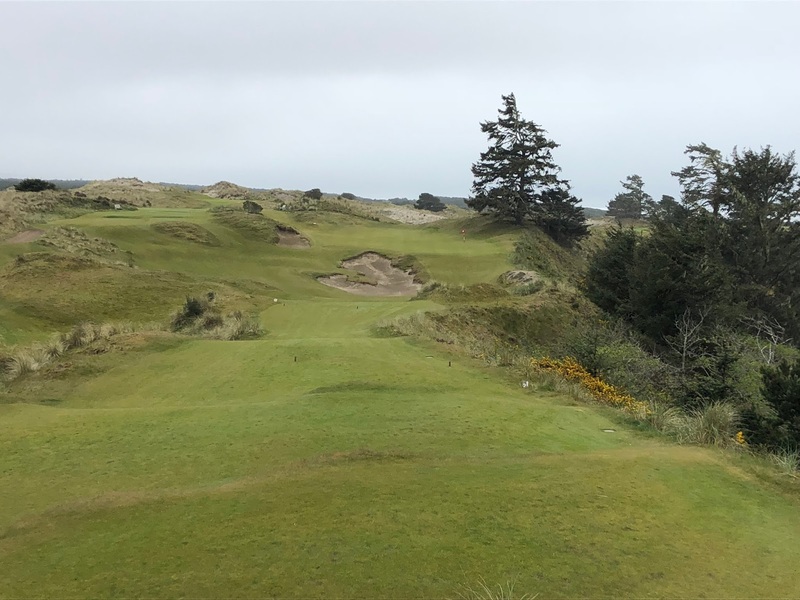 For example, the third and fourth holes run parallel to each other over similar ground but give you unique views and distinct challenges at each piece of that ground as 3 is laid out before you and 4 challenges you with blind shots coming back the other way. 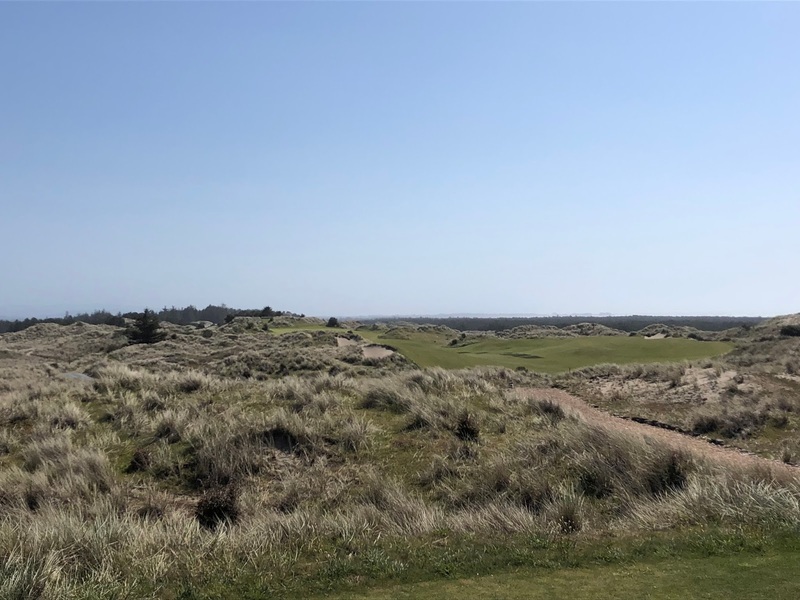 The whole course is like that with C&C routing the course through familiar feeling landscapes and yet presenting new and unique challenges at each hole. One of my favorites is the downhill 11th which allows for approaches from either the left (as I did on my first round) or the right side (I took this approach on day 2) of the hole but beware there is water on the right waiting for the golfer (a rarity to be in such direct contact with water at this Resort). The green complex is fantastic and it is such a fun hole. Speaking of downhill holes, the driveable par 4 14th offers the golfer everything they would want visually but also laying out the dangers of trying to go for the green. 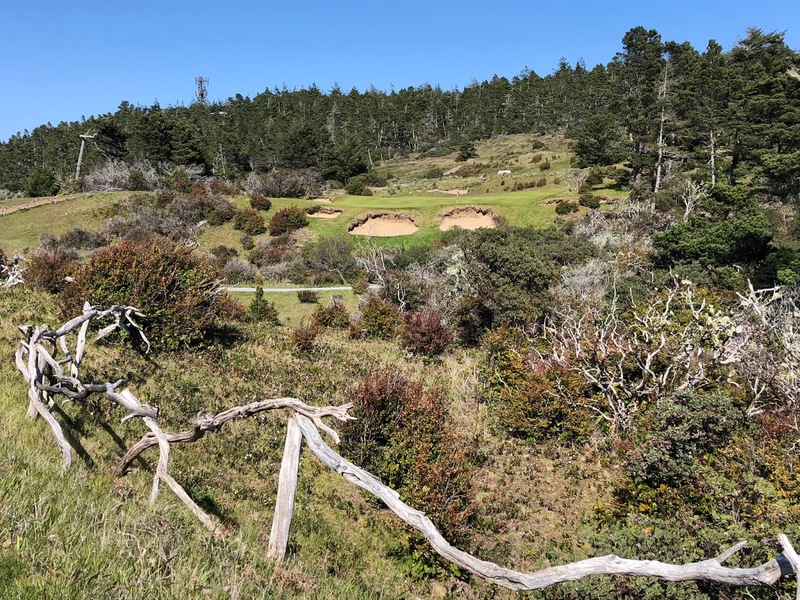 This is also near the spot where Mike Keiser was inspired to buy the property and turn it into a golfing mecca (there is a secret plaque near the tee box of 14 if you will find if you wander around, which I highly recommend that you do). 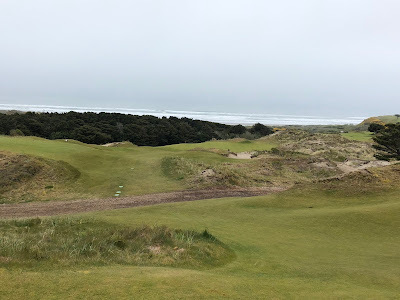 The 18th hole returns to the dunes does what I consider to be a sorta signature C&C look by going back to the clubhouse uphill with a slight dogleg right to end the round. 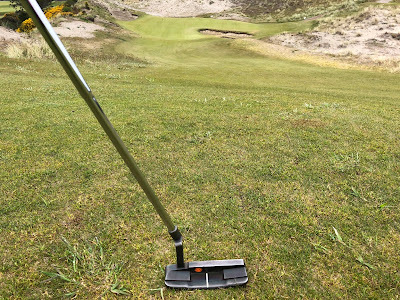 Trails is often the most divisive course at Bandon. Some rank it as the best course at the Resort, some rank it as the worst. 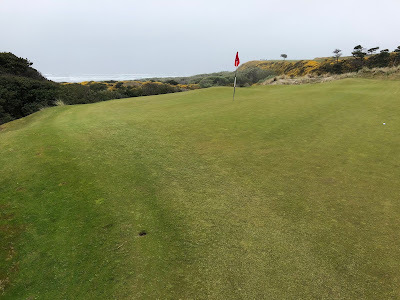 I think looked at holistically, the course is top notch, from the 1st to the 18th, each hole gives you something to chew on and the routing is superb. 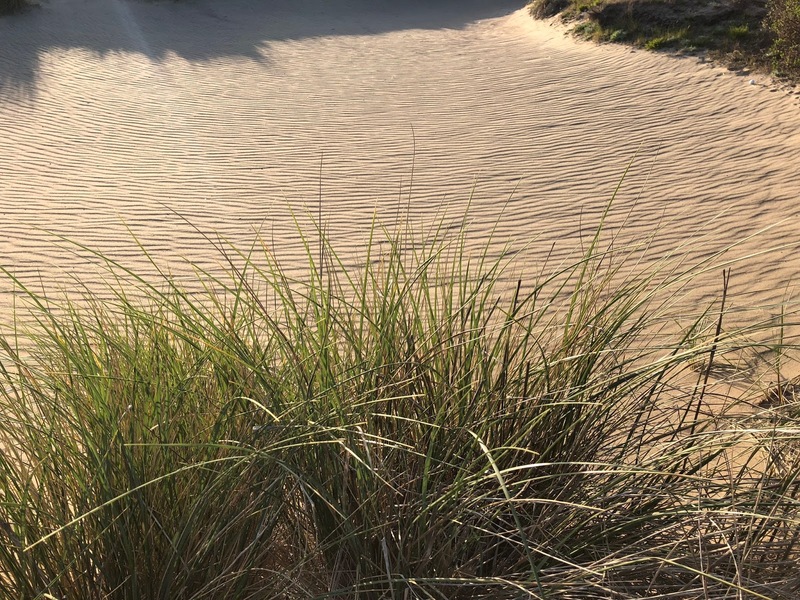 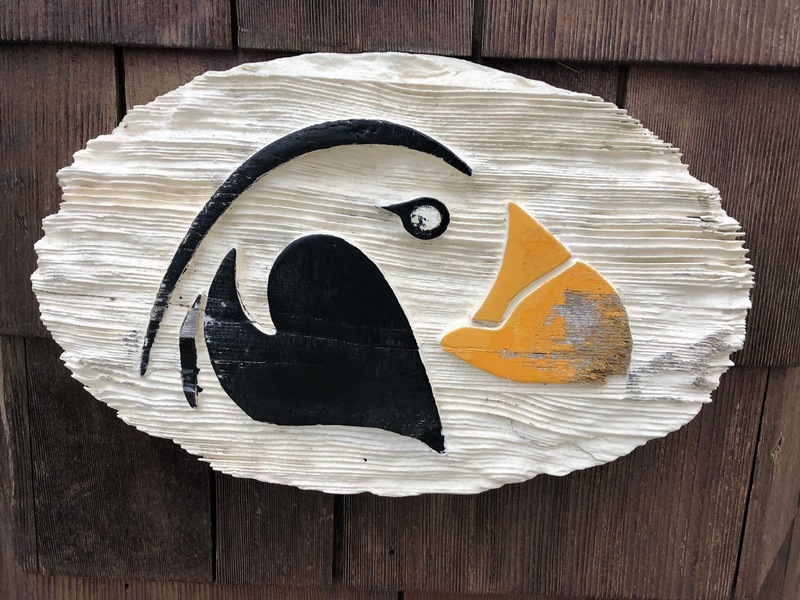 The weird thing is even though you are on the Oregon coast, you feel like you are playing in the Carolina pines so it is rather a discordant experience after playing the Dunes courses, this course feels like it should be somewhere else. There are still hints that you are by the ocean just looking at the ripples in the bunkers. 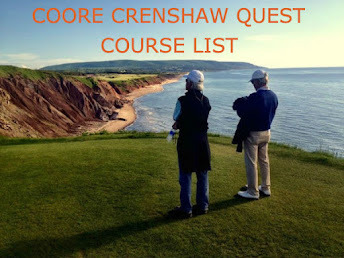 Overall, I think this course is near the top of the resort and certainly a great course within the C&C universe. 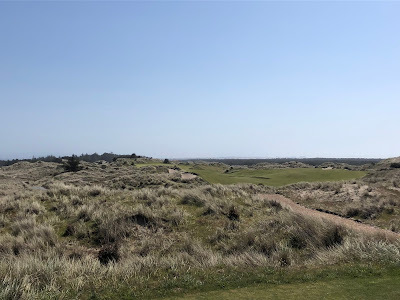 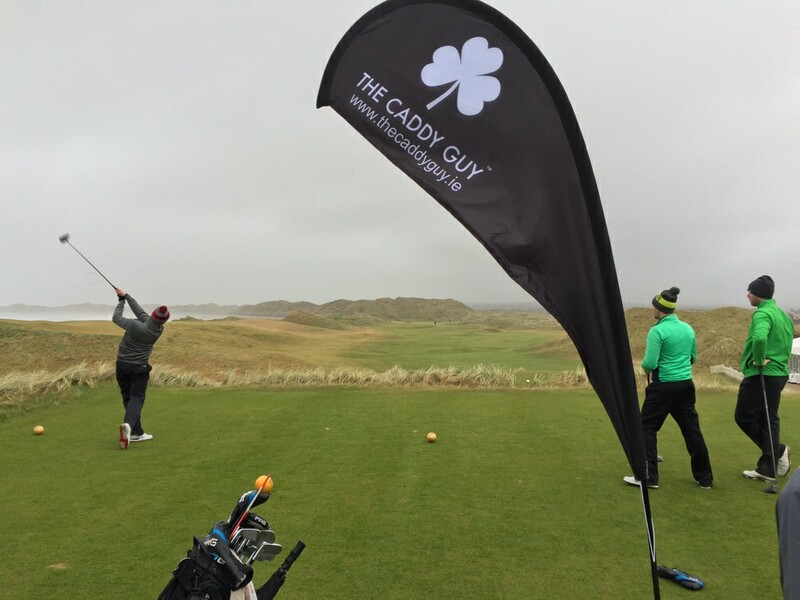 Regardless that it doesn't run through the dunes, the course is great on its own and well worth a play if you visit Bandon. 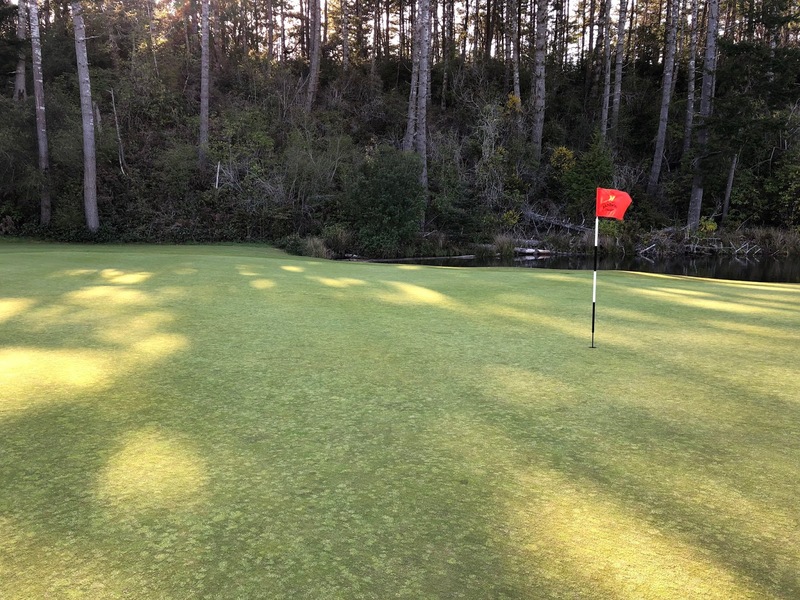 This is a course for you and your friends to go out, tie a few on and just putter around for a few hours. 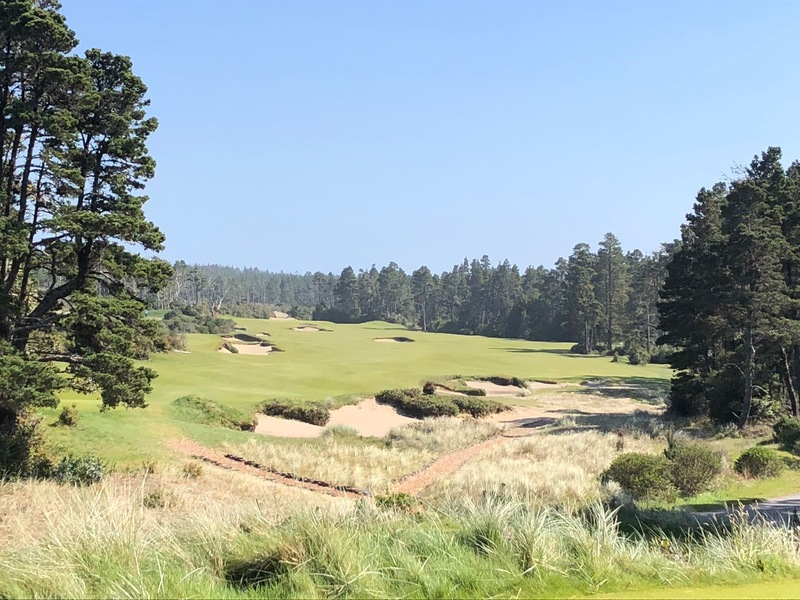 It is the ultimate chill and play golf course. 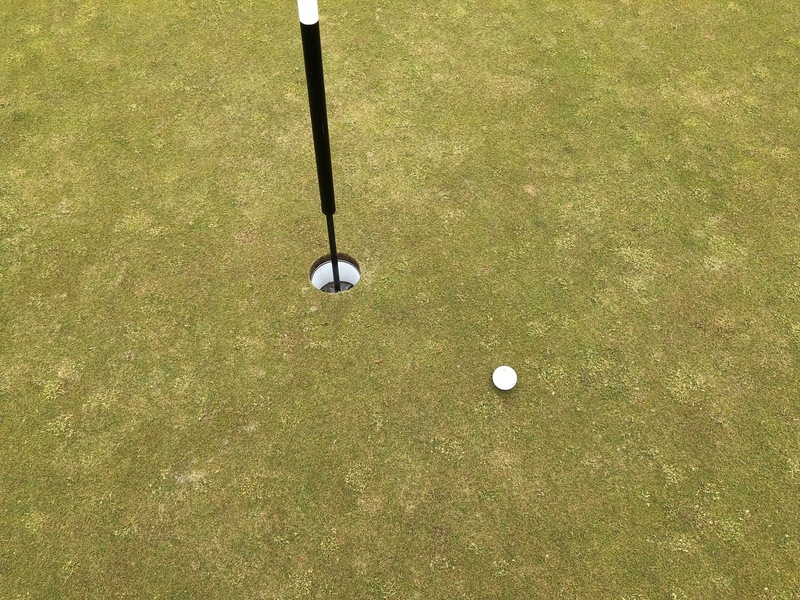 was this close to making a hole in one!!! 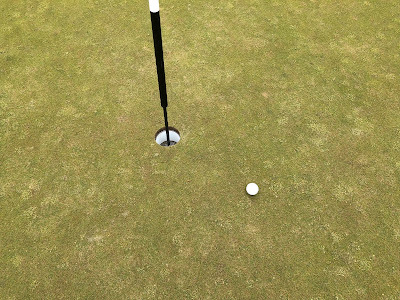 So freaking close! 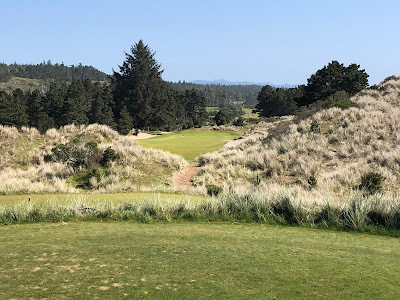 Overall Trails and Preserve are a strong twofer in the C&C universe and a must-play while visiting Bandon.